« QuickBooks Tip-What Account Should I Use? 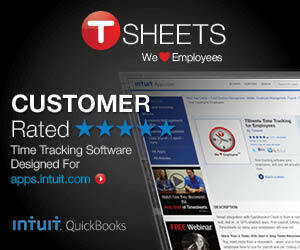 Well it’s Freebie Friday again here on the QuickBooks for Contractors blog. With the new year, we have a whole bunch of NEW ebook lined up to offer you. We hope you enjoy them and that you’ll take the time to leave us a brief comment as to what you think about them. And now, with no further delay………….this week’s ebook is……….. Lesson 1 – Getting Started; Introducing QuickBooks Premier Contractor Edition. Discuss why you need to keep books for your business. Discuss why you need to keep books from the IRS’s point of view. Using Forms and Registers to record transactions. Teach you how to navigate the program. Introduce and discuss the various “Lists” that QuickBooks has available and what their purpose is. Discuss how much “bookkeeping and accounting” knowledge you must have. Moving between QuickBooks Company data files. Exiting the program and backing up your data. This eBook is an introduction on how to use QuickBooks in the commercial/government construction industry. Its main objective is to introduce you to the basic features in QuickBooks. You’ll learn about the types of information you need to track in your business, and you’ll see how to enter that information and track it in QuickBooks. By the time you complete the eBook, you’ll have a good idea of all that QuickBooks offers, you’ll be familiar with the most common tasks, and you’ll know where to find information about more advanced features. We’re terribly sorry, but this eBook is no longer available. Please check our “companion site” Learn to use QuickBooks in your construction business for similar items.